While at the Tokyo Motor Show last month, I had a chance to interview Junichi Furuyama, the chief engineer of the new Lexus RC coupe. The following is a transcript of our conversation, by way of a Japanese translator. 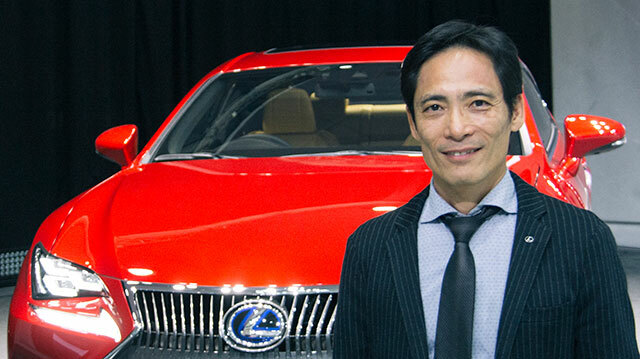 Kevin: First question — were the Lexus IS & RC in development at the same time? Furuyama-san: Correct. They were started one year apart — the IS was first and the RC followed. I’ve heard you mention that the RC is a model that exists on its own — being the chief engineer of both cars, how did you keep the two models separate? The IS was a new challenge for Lexus, as we were trying to achieve the very best performance levels with the vehicle. We introduced laser-welding and adhesive materials as part of the development of the new IS, and felt we were able to compete quite strongly in terms of performance. It was around this time we started developing the new RC. In terms of research and development, the RC is the latest IS in a coupe shape — however, in terms of positioning the model, we didn’t want the RC to simply be the coupe version of the IS. 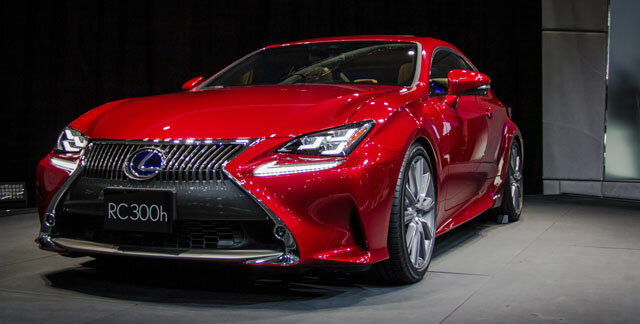 Lexus wants to explore the emotional aspect of cars — when we say emotional, it’s the inspiring & exciting kind — and coupes are very much a weapon we can use for such emotional achievement. 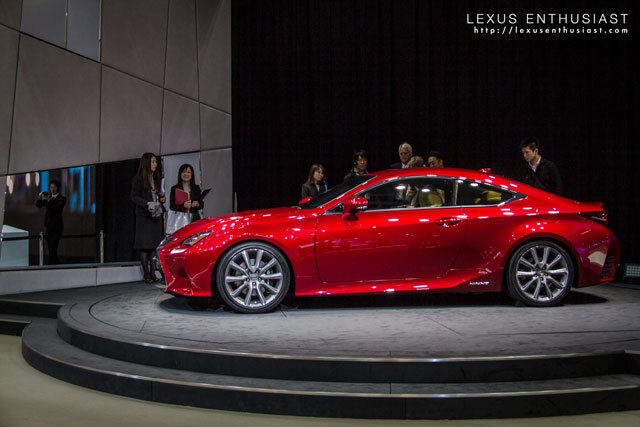 For this purpose, we didn’t want this to be the coupe version of the IS, because the IS already exists as a model. We wanted to bring in something entirely new. It’s not an extension of the IS, but its very own model. Completely different look, absolutely. Only the L badge is the same. What would you say is the defining characteristic of this RC coupe? A coupe is a car that is a point of aspiration for a certain kind of person. It’s beautiful to look at, the shape itself is so smooth and beautiful, and it has good performance. There are some downsides to it — it only has two doors and you can’t fit a lot of luggage. We set out to make this car the ultimate automobile for people that love coupes. We want the RC to be love at first sight, and with such a passionate feeling — after a test drive, these people simply must own it. That’s the kind of thing we want to create. That’s certainly the right thing to strive for — love at first sight! Last question, how close is this car to the production model? Well, I’ll give you my honest thoughts about that — I would like to see the RC on display in mass production. That’s my personal feeling. We may have to make adjustments to the current shape due to business decisions, but I will be making my upmost effort to make the RC as is. Definitely do your best to push the RC through unchanged. Do you like it as is? Yes, very much. I like many of the elements, but it really is greater than the sum of its parts. Thank you very much for the interview, Furuyama-san. 3pipes: Take the fog lamp off the spindle grill. It'l looks menacing without that fog lamp.